Town Centre masterplans typically face issues of land assembly and infrastructure planning, relocation and/or diversions. In higher value areas with strong demand for office, residential and retail uses, private sector delivery is often more realisable. 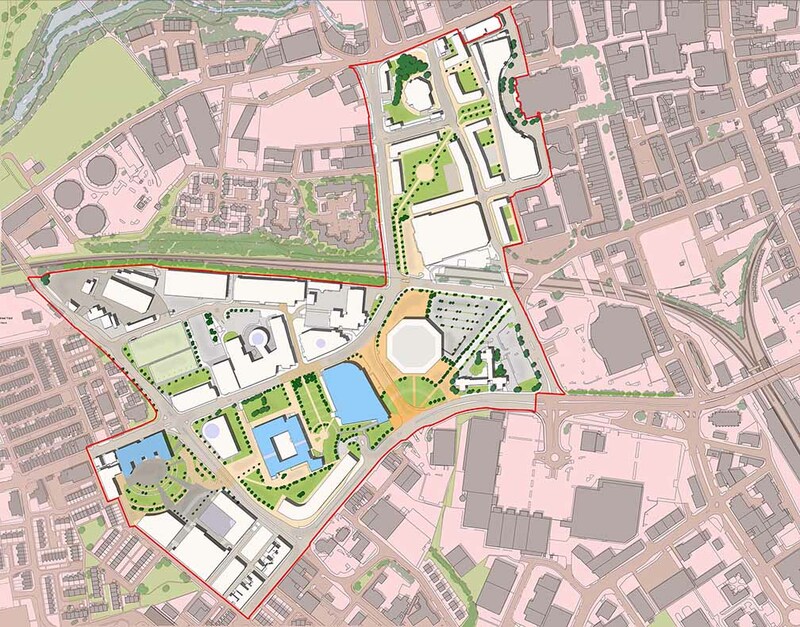 In small to medium sized towns where demand is weaker and the impacts of online retailing, edge of settlement business parks and suburban housing trends are often most acutely felt, masterplans need to recognise that public private partnerships are often a prerequisite for effective town centre transformations. At Spawforths we are proud to act as trusted advisers to a wide range of clients including private individuals, businesses, charities and the public sector. If you would like further assistance please do not hesitate to contact us. We began town centre masterplanning in 1988 with our first masterplan for Long Eaton – Nottinghamshire. Since then we have worked in many of the north of England’s small to medium sized market towns. Interested in what we do at Spawforths? Sign up to our email newsletter for the latest news and updates.